The BBC's plans to open up the iPlayer to other broadcasters for free have been scuppered, after the BBC Trust rejected the proposal. Codenamed Project Marquee, the idea was to make the iPlayer technology accessible to all PSBs for free, bringing some sort of level playing ground to VoD in the UK. While this may still happen, the BBC Trust has rejected proposals to give away the technology for free, explaining in a statement: "A proposal for the BBC to form an online federation giving access to public service broadcasters' content via iPlayer through a combination of commercial and public service elements has been rejected by the BBC Trust. "The Trust reiterated its support for the principle of sharing the iPlayer more widely, but said the BBC would need to find simpler ways of achieving this." The statement continues, with Diane Coyle, BBC Trustee and Chair of the Trust's Strategic Approvals Committee, explaining: "The iPlayer is a success, and we believe that access to its technology could be useful to other broadcasters. 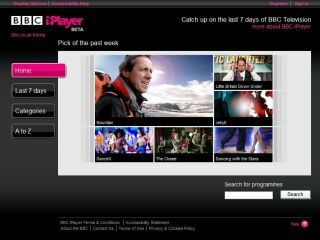 The Trust supports the BBC's aim of sharing the benefits of the iPlayer. "When assessing the proposals submitted by the BBC Executive, the Trust weighed up a number of factors. These included their strategic significance, their impact on other BBC activities, the potential competitive impact, and their overall value to licence fee payers. "We concluded that the open iPlayer plans in their proposed form, combining both commercial and public service elements, were too complicated. We were not convinced that there was enough potential value to licence fee payers in the public service part of the proposal, and we have therefore rejected the BBC Executive's proposals for an open iPlayer federation." There is now a strategic review taking place to see what can be salvaged from Project Marquee, with the BBC Trust still hoping the iPlayer technology can be given to third parties but in a more "simple, fair and commercial basis".